2 Layers, Box of 100, approx. 5.00 lb. 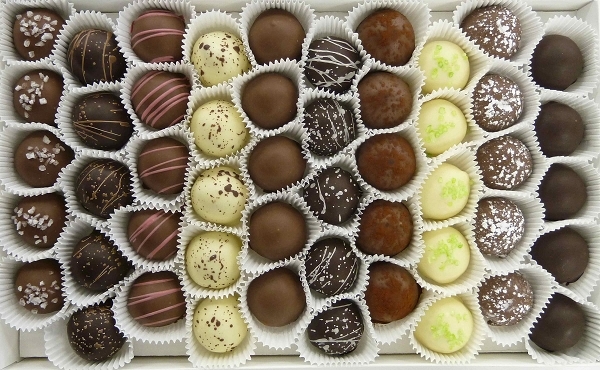 Truffles are a soft Ganache center starting with chocolate and dairy. 1 Layer, Box of 32, approx. 1.60 lb. 2 Layers, Box of 64, approx. 3.20 lb. Fleur de Lis Box of 1, approx. 0.05 lb. 1 Layer, Box of 11, approx. 0.55 lb.